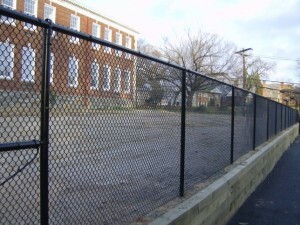 Chain link fence is almost ubiquitous in its use in industrial applications. It can easily cover provide security for large facilities and is relatively inexpensive compared to other kinds of fencing. One of the few disadvantages of chain link fencing is that it’s prone to rusting, like all ferric metals. Over time, this can make a chain link fence both unsightly and weaker, due to the oxidation of the metal. Vinyl coated chain link fence provides a great solution to this problem. Vinyl coats the metal of the fence in order to protect it from the elements. This means that the fence will never rust, and therefore will last much longer than a regular chain link fence. Vinyl also comes in several different colors, so you don’t have to go with the default gray of a chain link fence. 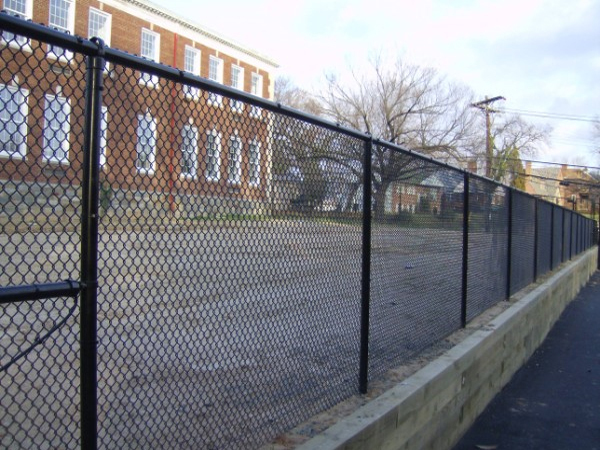 Hercules Fence of Richmond offers extruded vinyl, glued and bonded vinyl, and thermally fused vinyl, all of which offer greater protection and durability for your chain link fence. This entry was posted on Friday, November 8th, 2013 at 10:19 pm. Both comments and pings are currently closed.